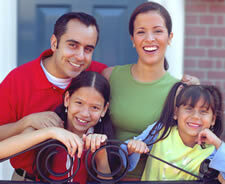 Many of our practice members want their entire family to benefit from chiropractic care. But many are discouraged when they do the math, multiplying what they pay by the number of family members they have. That’s why we developed our Family Plan. If this sounds interesting, ask chiropractor Dr. Christian for all the details.